Was Carl Jung a Buddhist? Carl Jung was one of many influences for the Responsive Universe – Meditations and Daily Life Practices. This statement above speaks wisdom born from eastern philosophy. To look outside yourself for energy and wisdom is like looking in a mirror – a distorted image of your True Self; a facsimile rooted in ego and conditioned by society. To look within is to act and speak straight from the heart, san of ego; connected to the authentic essence that is True Nature; the intrinsic potential for reaching enlightenment within every sentient being. Jung’s work on himself and his patients convinced him that life has a spiritual purpose beyond material goals – beyond this ego driven world we live in. Our primary goal, he believed, was to discover and fulfill our deep innate potential. Based on his study of Christianity, Hinduism, Buddhism, Gnosticism, Taoism, and other traditions, Jung believed that this journey of transformation, which he called “individuation”, is at the spiritual center or heart of all religions. It is a journey to meet the self and at the same time to meet the sublime. Unlike Sigmund Freud, Jung thought spiritual experience was essential to our well-being. I agree. Jung’s work included some metaphysical studies in synchronicity which he defined as the meaningful coincidence of an inner image with an outer event, which can often let one see the world in a new light; especially if one responds very deeply, with the full involvement of his or her being to the meaning of the event. Sounds like self-discovery or an awakening? While Jung professed the importance of the psychological significance of synchronicity, he also said “I am equally interested, at times even more so, in the metaphysical aspect of this phenomena, and I cannot deny my fervent interest in this aspect.” I hear you Carl, loud and clear! Carl Jung understood that the brain was a complex organ and yet this Universe that exists around us and in fact created us is even more sophisticated; further there was a sublime connection to be realized. 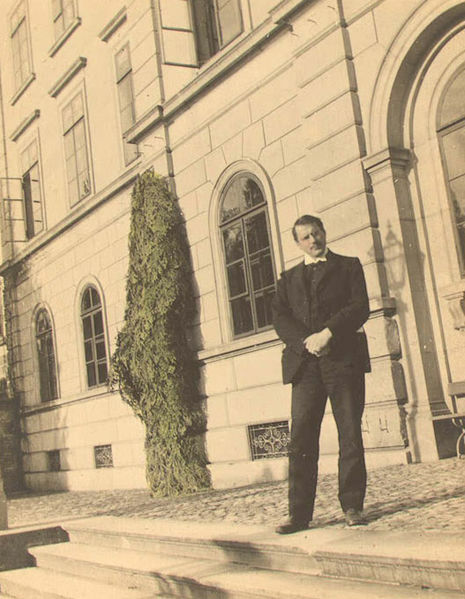 Carl Jung was born in 1875 and died in 1961. He was truly a pioneer in forward thinking and I think he would be amazed at how now quantum physics is beginning to unravel the mysteries and connections within this Responsive Universe. interesting take- I’ll dust off my copy of “Man and his symbols” and re read it with that in mind.